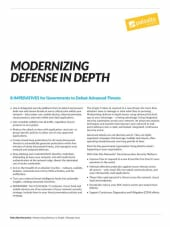 A strong cyber defense, agile to the needs of governments globally as well as to adversaries’ tactics and tool changes, is germane to the future. 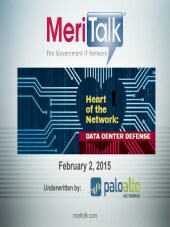 Palo Alto Networks meets the cybersecurity needs of its government customers by providing a future-proof platform with visibility, prevention and resilience – from the endpoint to the heart of the network, data center and cloud – and for all threat types for IT and OT networks. What Is the EU NIS Directive? 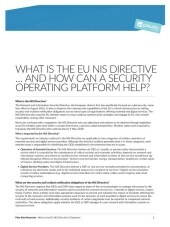 This paper provides an overview of the security and incident notification obligations of the EU NIS Directive and outlines how a Security Operating Platform can help. 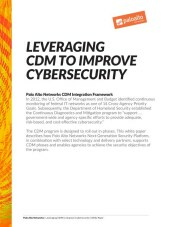 This white paper describes how the Palo Alto Networks Next-Generation Security Platform, in combination with select technology and delivery partners, supports all three CDM phases and enables agencies to achieve the security objectives of the program. Advanced attacks are organized campaigns that leverage multiple techniques. Don’t be the government organization flying blind to attacks against your organization. 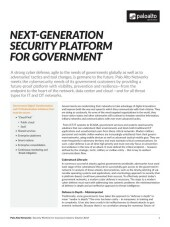 Palo Alto Networks meets the cybersecurity needs of its government customers by providing a future-proof platform with visibility, prevention and resilience. 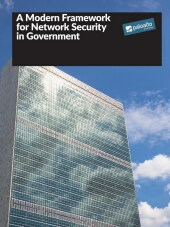 Cyberattacks are one of the most pressing national security and economic concerns of governments around the world. 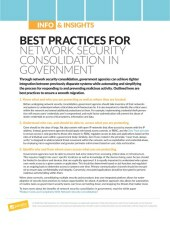 Government agencies are taking an “all-in” approach to fight back, sharing more cyberthreat information with one another and purchasing threat feeds. 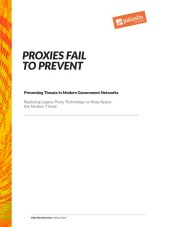 However, with the influx of threat data, many agencies are having difficulty using these insights to update their sensors with real-time protection and reconfigure their defenses on the fly. And during a cyberattack, responding quickly is crucial to minimizing potential damage. 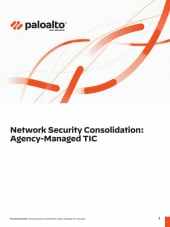 Read how Palo Alto Networks VM-Series Next-Generation Security Platform secures communications for mission-command applications for this military customer. 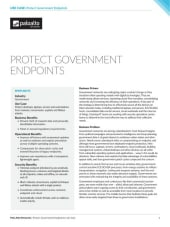 Read how government endpoints can be protected against today’s threat environment with minimal disruptions to operations while meeting the needs of end users. 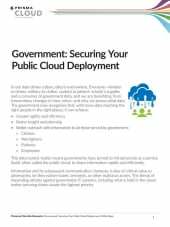 To serve their citizens, federal/national, state and local governments must gather, create, or process sensitive information. 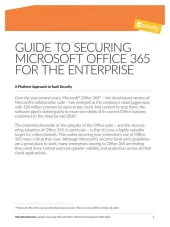 As various high-profile breaches have demonstrated, this data is not sufficiently protected, particularly from the insiders whose actions are responsible for the majority of public sector security incidents. 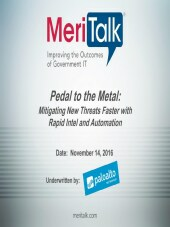 Every day, the U.S. federal government experiences increasingly sophisticated and persistent cyberthreats. The government is expending significant resources to ensure the cybersecurity of federal networks, systems and data remains a top priority. 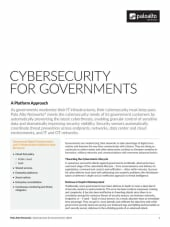 This white paper: Gives a short backgrounder on the U.S. government’s Cybersecurity Strategy and Implementation Plan (CSIP). 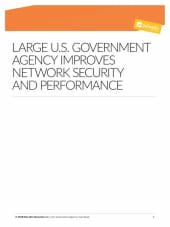 Describes how the Palo Alto Networks® Next-Generation Security Platform enables U.S. federal agencies to identify and protect High Value Assets (HVAs) and information and detect and rapidly respond to cyber incidents. 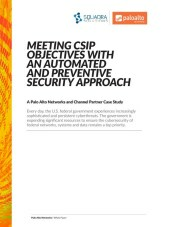 Provides a case study on how one U.S. federal agency used Palo Alto Networks to help meet CSIP objectives. 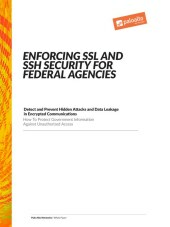 A comprehensive security strategy for federal and other government agencies requires in-depth analysis of encrypted traffic to detect and prevent hidden attacks and data leakage. 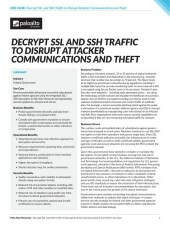 As more Internet traffic is encrypted, increasing numbers of attackers, including state-sponsored actors, are using this technology to hide malware, and botnet-based command and control traffic to exfiltrate data and escalate the likelihood of successful attacks. 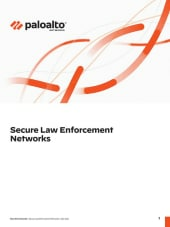 Palo Alto Networks Next-Generation Security Platform provides a combination of advanced capabilities to prevent undesired applications and malicious content, including the decryption and scrutinization of encrypted communications, along with Hardware Security Module (HSM) support for enhanced performance and security of certificate and key management. 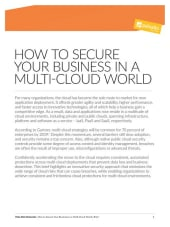 Feds need to protect the data center from internal and external threats as they transition to cloud environments. How are they managing the transition? Palo Alto Networks® (NYSE: PANW), the next-generation security company, today announced the addition of two decorated military and intelligence leaders to further enhance the company’s cybersecurity strategy and global policy expertise. 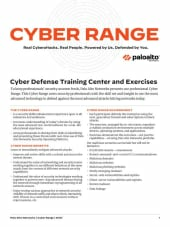 Palo Alto Networks® (NYSE: PANW), the leader in enterprise security, today shared research that uncovers a series of potentially state-sponsored cyberattacks targeting government and military organizations in countries throughout Southeast Asia. The UK Cabinet Office Technology Transformation programme was established to replace an end-of-life outsourced IT service. The aim of the programme is to enable modern flexible ways of working and to provide civil servants with technology at least as good as they have at home. 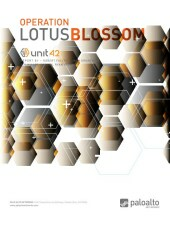 During user testing at the start of this project, staff told the UK Cabinet Office IT team that they wanted better connectivity; greater choice of applications; to be able to be more mobile with more portable devices and to be able to collaborate on documents in real time.